That’s one vision of how self-driving cars will affect U.S. real estate, laid out in a report by MIT’s Center for Real Estate. But it’s not the only one. Even as reclaimed parking spaces fuel a downtown building boom, autonomous vehicles will encourage builders to push deeper into the exurban fringe, confident that homebuyers will tolerate longer commutes now that they don’t have to drive, according to the report, sponsored by a unit of Capital One Financial Corp.
It’s far from clear how long it will be before fully autonomous vehicles are ready to rule the road, or how governments will choose to regulate them. The 25 biggest U.S. cities generated a combined $5 billion last year from parking tickets, vehicle registrations, and other related revenue, according to data compiled by Governing magazine. Governments will also have to grapple with the likelihood that as the cost of the vehicles comes down, fleet companies may overburden roads with them. 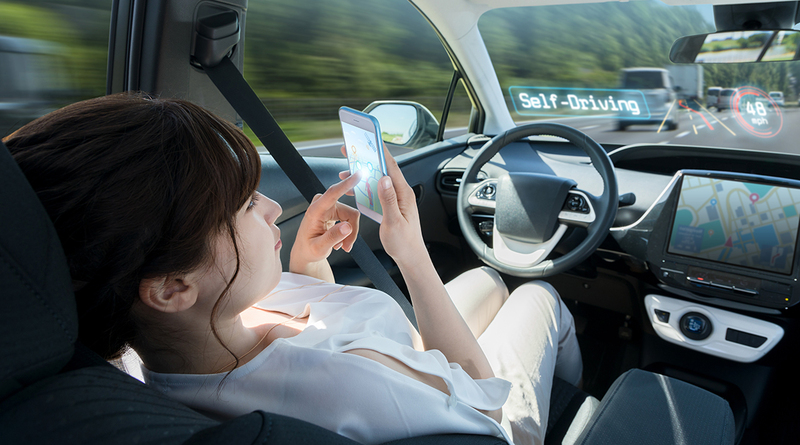 In New York, it won’t be until 2040 that “land use planning is permanently altered” to accommodate self-driving cars, according to a study this month by the Regional Plan Association, an urban research and advocacy group for the metropolitan area. Still, Saiz is optimistic that self-driving cars will unlock buildable space. Developers are already starting to target parking structures, gas stations and auto dealerships, betting that they’ll be able to redevelop the sites as car ownership becomes obsolete, said Rick Palacios, director of research at John Burns Real Estate Consulting. Palacios also sees the vehicles driving suburban sprawl, though, in his view, builders will start by redeveloping downtown sites, then move to the suburbs after they’re done with the parking garages and other legacy sites. In other potential effects on the real estate market, driverless cars would help seniors stay independent longer, slowing home sales but also reducing the demand for assisted-living facilities, Palacios wrote in a September research brief. The remodeling industry may get a boost as older homeowners invest in makeovers to help them age in place. Construction costs will decline when driverless trucks are used to transport materials, he said. If it’s hard to predict how or when these changes will take hold, it’s also hard to know how they’ll affect property values. The developable land is likely to temporarily slow price appreciation in cities, Palacios said, adding that values will probably rise once the new parcels are used up. In already popular urban areas, driverless cars could spur more gentrification and increase property values further, Saiz said in a follow-up email. On the other hand, the vehicles could drive real estate values down by creating new supply in the suburbs.